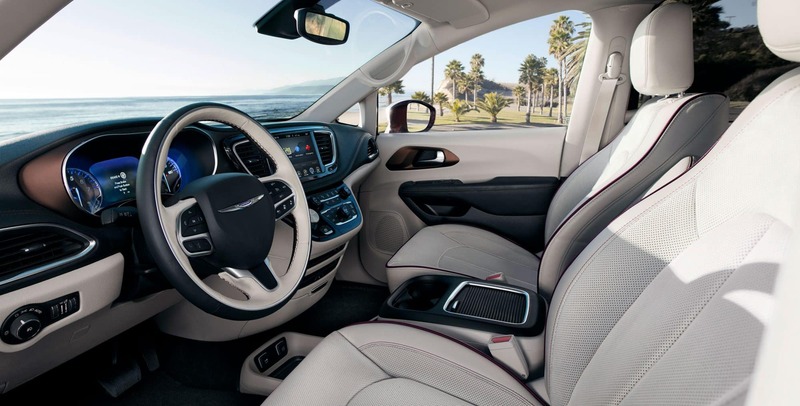 In 2018 the Pacifica has made multiple features standard to improve its safety and technology abilities. These features include Apple CarPlay, Android Auto, and a SafetyTec group package. To improve the lineup a new L trim has been added as well. Features that used to only be offered as standalone options or had previously not been available are now standard on some of the trim levels. For example, the Touring L has a power passenger seat, perforated leather seating, and a new Premium Group with Alpine 13-speaker audio. The Touring Plus also now offers a security alarm and remote starting. 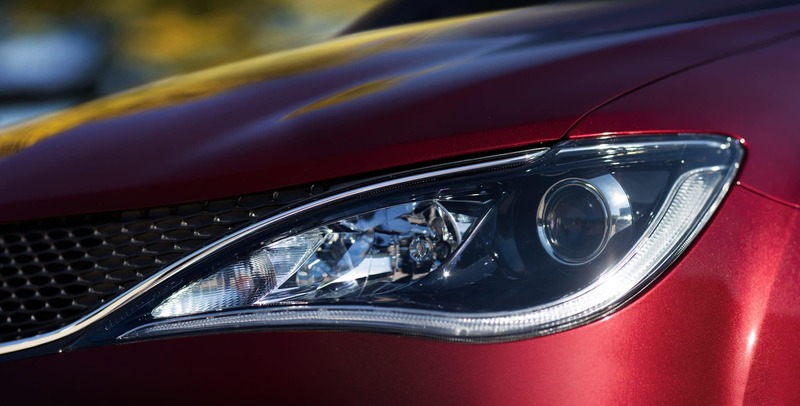 How capable is the Pacifica engine? 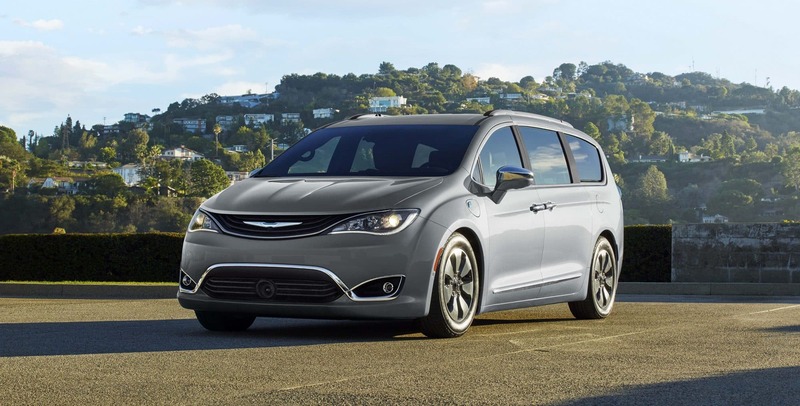 The base engine for the Chrysler Pacifica is a 3.6-liter V6 with 287 horsepower and 262 lb-ft of torque. 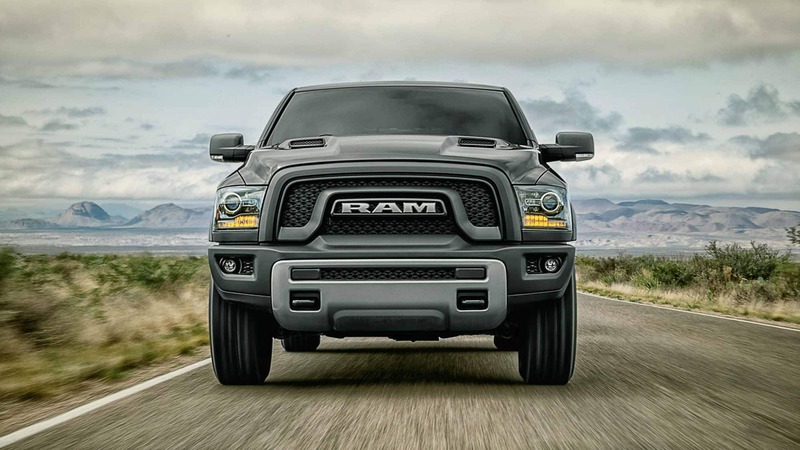 The 3.6-liter V6 has received an EPA fuel economy rating of 18/28 miles per gallon. This minivan’s engine is paired with both a nine-speed automatic transmission and front-wheel drive. This incredibly powerful minivan is capable of going from zero to sixty miles per hour in just 7.7 seconds. 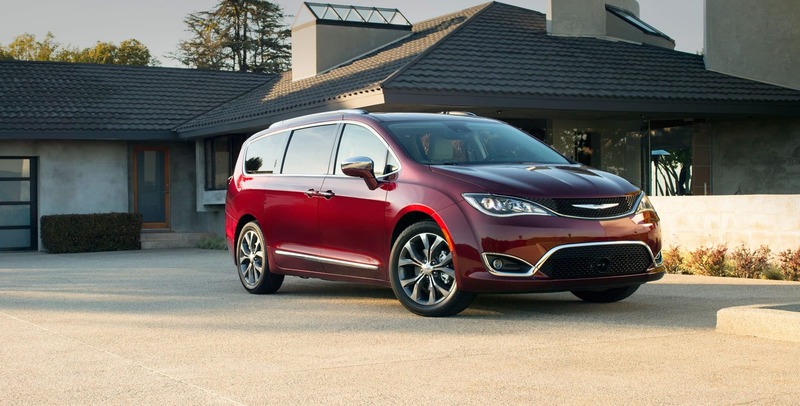 The Pacifica is also capable of stopping from sixty miles per hour in 119 feet. 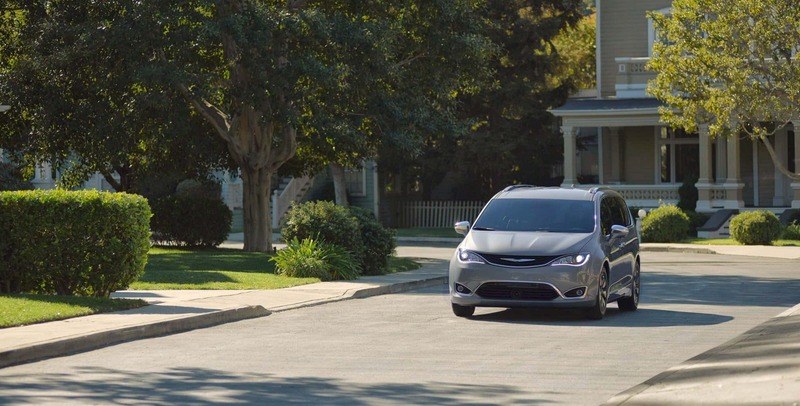 The 2018 Chrysler Pacifica has multiple standard safety and security features. Some of these features include rear parking sensors, a rearview camera, child door locks, an engine immobilizer, traction control, KeySense for safe driving teens, rear cross-traffic alert, and blind-spot monitoring. Additionally, airbags can be found by the driver, passengers, driver knee, front knee, front side, rear head curtain, and front head curtain as well. The Uconnect system also comes with voice control to help keep the hands on the wheel. How many passengers can I fit in the Pacifica? 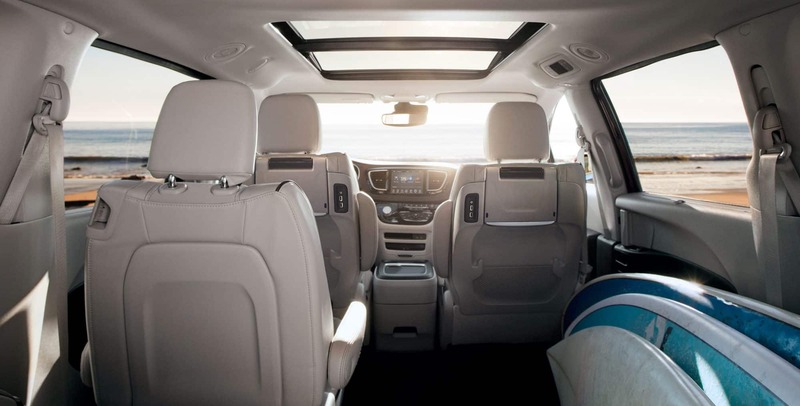 The standard seven-passenger seating arrangement of the Pacifica can now be upgraded to eight-passengers through the all-new L trim. The new L trim is the base of the lineup with keyless entry and ignition, heated mirrors, multiple safety features, Bluetooth, ad 7-inch touchscreen, an auxiliary jack, and a six-speaker audio system. The LX adds to all of this with tri-zone climate control, automatic engine stop-start, stow ‘n go seats in the second-row, an eight-way power driver seat, and a driver information display. 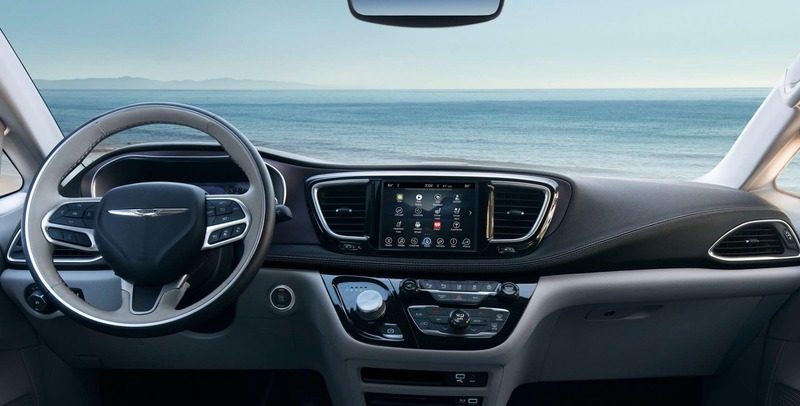 The Touring Plus includes additional features such as automatic headlights, foglights, automatic climate control, full keyless entry, satellite radio, a charge-only USB port, remote engine start, and power-sliding rear doors. The Touring L then adds a second-row USB port, second and third-row retractable sunshades, leather upholstery, and heated front seats. 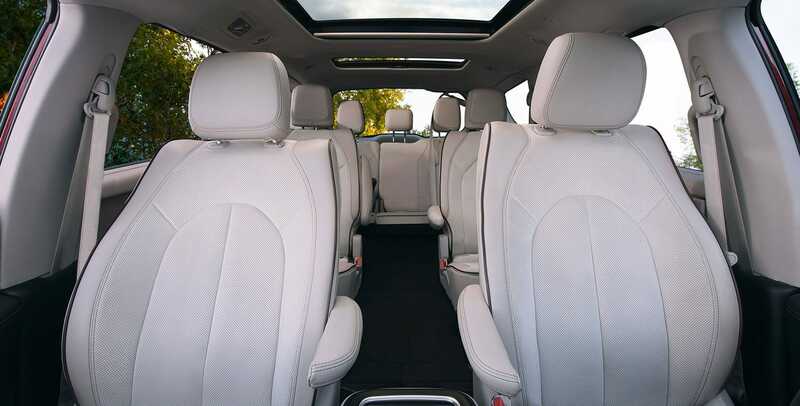 The Touring Plus comes with heated second-row seats, a heated steering wheel, two sunroofs, navigation, and ambient lighting. At the top of the lineup is the Limited. The Limited comes with ventilated front seats, xenon headlamps, LED foglights, premium leather upholstery, and an in-vehicle vacuum cleaner. 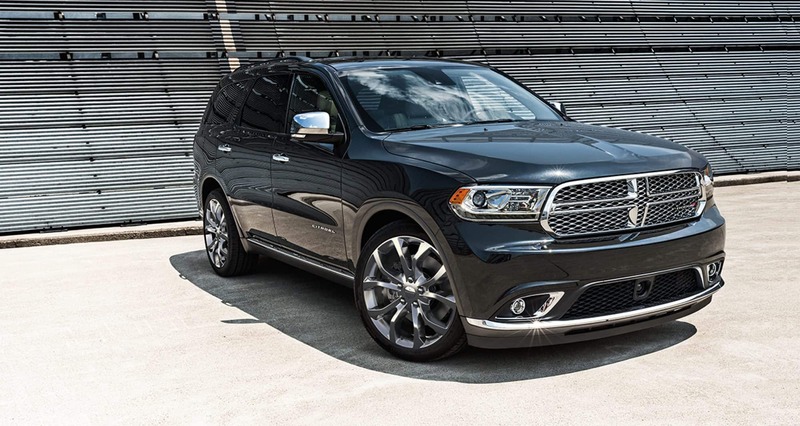 Multiple additional packages are available to add even more features to help customize this vehicle as needed. 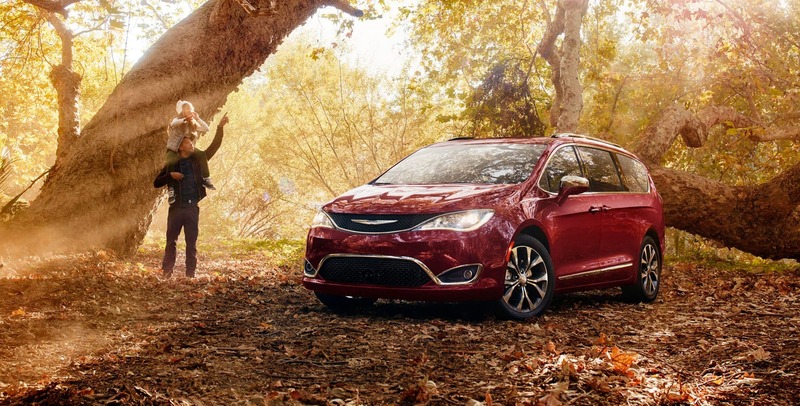 The Pacifica is the most powerful minivan on the market! Don’t believe us? Come take one for a test drive with us!